The rain finally stopped. 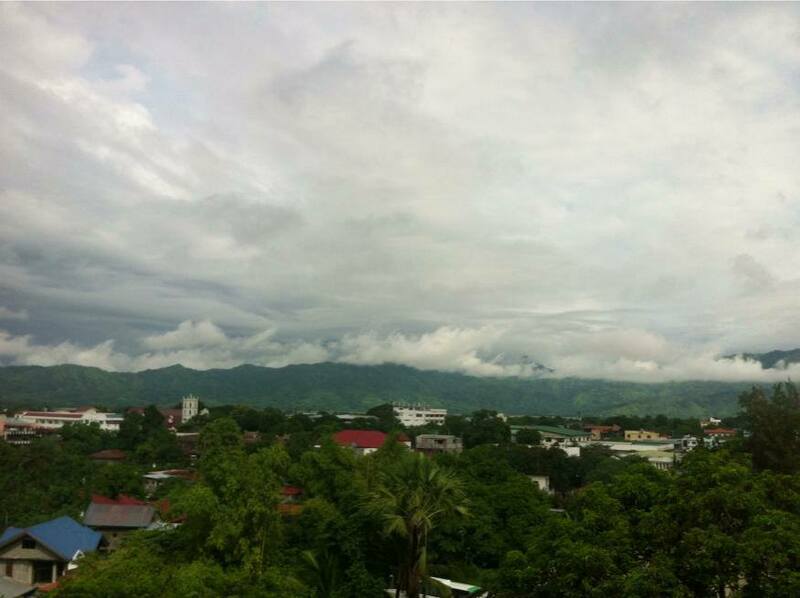 Although the weather bureau still predict some rains for the next few days, it appeared that the worse has passed. But not after doing some damage to the province. According to ANC and other reporting agencies, more than a hundred families in Abra were displaced as three days of downpour caused the Abra River to overflow. The Abra River breached its banks after strong winds uprooted acacia trees, which blocked the passageway of water that triggered flash floods in barangays Poblacion and Taguimag in the municipality of San Isidro. The provincial disaster risk reduction and management council is verifying reports a fisherman from Tubo, Abra drowned in floods. The floods have since subsided, allowing affected families to return home. According to a post in FaceBook, The Old APH (Abra Provincial Hospital) overflowed with patients affected by the storm. The source says that there were not enough beds to accomodate these sick people. Abrenians again are asking what’s going on with the new APH? 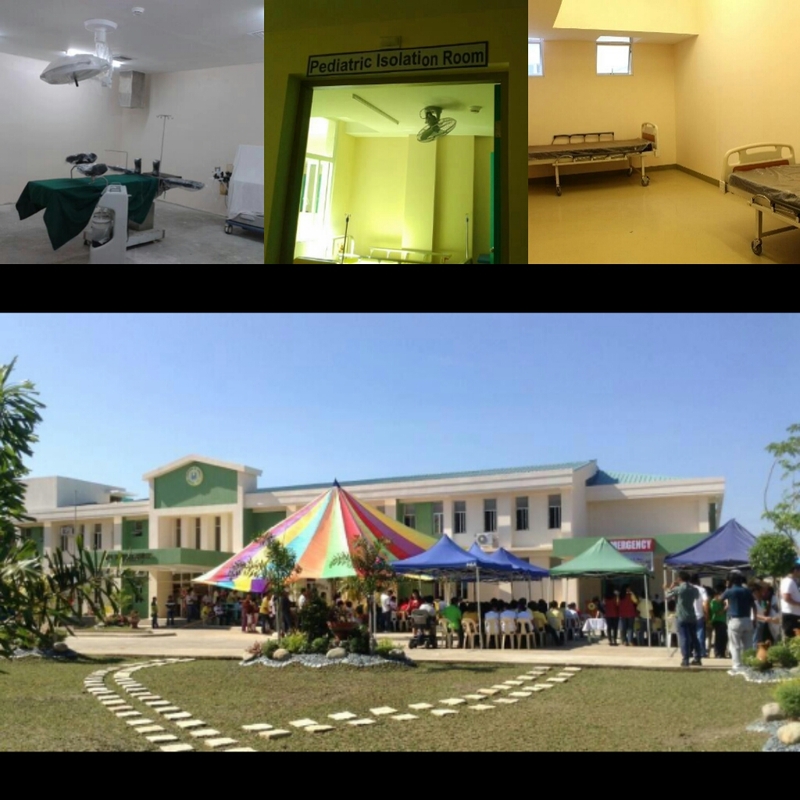 The Newly build P200 Million Hospital, was of no helps in times of need and remained isolated. The New APH: Stunning from the outside but dark and isolated in the inside. Since it’s soft opening in May this year, the hospital has only been offering outpatient services. When can the hospital be really usefull to Abrenians? Cue jokes about Takit using the new APH for his campaign. You are right Boss,I think SOURS instead of SOARS is what the writer is alluding in this article. I could sense the sentiment of the writer is critical reporting instead of objectively reporting the facts. Tama ka diyan Meoff. Mr. Sysop, apaya nga dika mabalin ti agpadamag nga awan ti pabasolem wenno padpadenggam? No dadduma ket ti pinagkitak ditoy abrenian. com jet war freak dagitoy founder da. Awan la ti makitak no di la agparpariri ti aramid da. Can we not unite just even for once for the good of Abra? I think we already not united, and still nothing came out good for Abra. Nautakan na naman tayo ni gov. Walang laman na un new hospital. Hinakot na. Kawawa tayong abrenio. Tama! Dayta ti dapat nga tutokan ti taga Abra saan nga ti la agsapsapul ti ipabasol yo ken Governador. Nalpas ti electionen. No naabak kayo tatta, better luck next time. don’t blame people critizing the governor for his bungling the project. Yes election is over and yet the hospital has not been completed. So what are you saying that Abrenians just blindly turn their back on this non-performing asset and was built using people’s money? Awan pay duma na dayton tay pork barrel scam. It’s not about who won or who lose it’s about the hosptial that is supposed to help our kababayans. Sinno ngarud to pabasulem ringnoster?la man? projekto met ti probinsyal government detta? Iddi nag-open kano dayta, insinungasing ni governor nga malpas daytoy, nya tatta ti nag-banbanaggan na? About the envrionment disaster, haan la nga gobyerno to makin-basol. Amin nga tao nga awan pangundangan nga lapastangin ang kalikasan ang mga sisihin. Dua nga inosente nga inapok nga ubbing ti biktima daytoy nga bagyo iti lugar dagiti KTL. No saan koma ti kinarawit yo DENR dakkel koma nga tipid dagiti pinukan yo nga kaykayo ken na-mining yo nga dagdaga iti panagdakkel dagiti karayan ken waig. Agsagana kayo agsipud ta pagbayadan yonto no agsasarak tayo diay impierno. Corrupt DENR officials/personnel have no balls to stand their grounds against these greedy businessmen and lawmakers responsible for crafting this logging and mining laws. May araw din kayong lahat…. where are the agencies or local and provincial gov’t to implement the law? most importantly, where is ama ti abra? if these idiots are supposedly doing their jobs, then less would be rulebreakers? btw, ama ti abra is busy counting his milyones nga nakurakot from the kuribot of abra with his minions in California. wake up abrenio! palpasen yo ngamin deta ospitalen. naka-sim-simple ngem haan nga simple no awanen pundo na mga malpas. Here we go again with meof and ringnoster nga sipsip. It’s not about criticizing your messiah gov takit. Get ‘ r done migo. You know what I mean. The GhostPital was used as a centerpiece of his campaign during the last election. Where is it now? Pa soft opening pa kayo. What a f ucking BS? The governor borrowed money to the tune of 200 million php and yet to this day, the new hospital cannot admit patients for confinement. There is no politics involved in this issue because the Abrenos have every right to know the true state of operations of the new hospital. The Abrenos demand transparency, nothing more, nothing less. The only political thing I can see in this issue was the stunt pulled by the governor just before the elections by having a soft-opening (whatever they meant by that) complete with a reporter of Balitang Ilocano. They showed the new beds, the rooms and some equipment. If there was any politics injected to this issue, it was the governor who did it to get votes. The fight for honest governance does not stop after the elections. It is a never-ending battle because eternal vigilance is the most potent weapon against graft and corruption. “To whom much is given, much is required and to whom more is given. much more will be expected”. If one cannot lead honestly by example, it behooves him to resign. Public office is a public trust. There’s only one possible explanation for this: maybe the hospital is unsafe for use due to lack of sufficient medical supplies/equipments and staff/workers or the building itself due to their failure to meet the building criteria/requirements. Why? I don’t know and I don’t know either if the fund allotted was sufficient or insufficient for various reasons beyond my comprehension. I am just guessing..pardon my poor assumption. Then check the hospital built in Venezuela city for ONLY 80M, state of the art hospital compared to ours for 200M and counting. What a joke? Where is good governance and honest elected governor here? Why does he NOT come out in the open and explain it to us Abrenios? Before the election, pa news news pa ang OG AG natin na gobernador tungkol dyan. You are right on target Pedro Abreno. By the way, the hospital in Venezuela city was completed and operational in one year. From the grapevine, somebody says that our Country has been declared as a “STATE”………At a glance it’s a good news of relief for it suggests the end of our miserable life due to left and right corruption. Imagine our Country would become an State? But later on, he quips and says “STATE of calamity due to the most recent floods that devoured immeasurable cost of precious life and property of the entire Nation, STATE of thief politicians/government officials due to the Napoles PDAF scam, and the STATE of most dishonest lawmakers on earth, because some of them were involved/perpetrators of this most scandalous corruption that defies human understanding and imagination. What a shame..? We are considered as 99% Christian country but it shows that just only one% true Christians left and the rest are just pretending Christians? I think the disciples of Christ in our country has terribly failed. What happened now to the alms or donations of both rich and poor one% true Christians? Was it not enough to circumcise the hardened hearts and minds of our crook government officials/servants? Or, it’s now time to become as one of the states/slaves of other states? Who would like us anyway? Anyone? Don’t worry Pokpo-Kikiang and others. the good President has still three years to change the course of history of our beloved State/Nation. But he should be very careful in fielding his Chicken for the forthcoming presidential election so that the changes he had worked hard for would not be just wasted. Scrapping all kinds of fund of our elective officials will be a positive guarantee that our silent majority voters do believe that no more corruption that could ever, ever bring poverty and various injustices in their life. Let’s keep the HOPE high….and wait……!!!! In addition to the above: 50M from PCSO and 20M from JICA ( Japanese lending Co.). Where did the money go? What are you talking about me as a sipsip? Do you even know me?.All my postings are facts, corrections or direct observations. I am not taking any sides. I am proud to say that I make an honest living based on my personal merits.No need for me to be a sipsip. By the way Valenzuela City not Venezuela.Big difference. 3 dead. two guzman brothers and one mayor jr’s bodyguard. No more poorkie kaya wala na hospital. GhostPital na lang naiwan. Lumipad na un 200M…. este naibulsa na pala ni Takit and mrs. Madam X. Wawang abrenio. Kala ko pa naman may pagmalasakit, sa bulsa pala meron. Asan na un mga abogado ni Takit? Where art thou? Paging flow glow knowitall, remy queenofallmedia and et al. Where is your mea culpa? Bring it on! This is how the gob style of his leadership kaya walang tama. Puros palpak na projekto pati administrasyon nya. Yung mga unqualified ang nasa pwesto komokolekta ng kaban ng bayan. When facing a problem, the gob says nobody knows instead of let’s find out. Kung may utak sya he should communicate with commitment NOT make Empty Promises. Instead of having the capacity of listening to the voice of the abrenios, he can’t wait his turn to talk buIIsh!t and says “this is the only way I have always done things around here or the highway 69”. Bakit di nya sabihin, “let’s find a better solution to do this”. OGAG talaga tong gob. Puros walta na lang alam ibulsa. Dios mio! Where is the old hospital from that picture, may I ask? awanen a COMLI,nagpukaw ta hospitalen,ditay makitan ta GHOSTpital ngarud !! wenno adda diay barbarakbak ta nai raman nga nai punpun ta hosPATAY ngamin. ospital a NAID danum na,only in ABRA !!! Where did the money go? Just asking.